4 Corners was established in 2003 by Colin Smyth after 15 years in the sign trade. Through hard work and commitment we have built up a varied and loyal client base. We always do our best to meet even the tightest deadlines, therefore taking the pressure of you to get on with running your business. Choosing the right image can be the most important step in making your business work. Our experience means we can give you advise on the most cost effective option for you, without compromising on quality. We pride ourselves on giving honest advice. A & B Pneumatics have been Irelands leading manufacturer of small air springs for the last 25 years. With full testing facilities and ISO accreditation we can ensure a very high standard to all our products. Based in Lisburn, our manufacturing facility enables a fast delivery on all our products which are shipped all over Europe. By working with some world class suppliers A & B has been able to establish itself in the industry. In addition to manufacturing our own air spring range, we are also pleased to be able to specify and deliver the full Dunlop Systems and Components range..
Want your car to outshine and impress your sponsors? Do you want your companys image to ooze professionalism? We at all graphix have all the solutions, founded in 2001 by John Patterson, all graphix caters for all areas, some of which including vehicle livery, rally cars, plant machinery, PVC banners and safety signs. The purpose built premises just one mile from the M1 Saintfield roundabout at Lisburn City, allows the all graphix team to carry out their design service, manufacturing and application of graphics under one roof. We are dedicated to providing your business with the highest quality designs for maximum impact. In just five years all graphix have built up an impressive client list mirroring the standard of workmanship, competitive rates and customer service we pride ourselves on..
A.S.A. 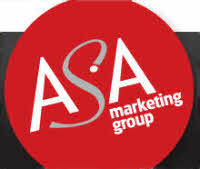 Marketing Group is a full Marketing Services agency providing : Direct Marketing Services: including DM Brochures, Database Management, Fulfilment and CRM. Promotional Merchandise: including Advertising & Corporate Gifts, Leisurewear, Flags & Banners. We are celebrating 25 years this year. Our mission has been based on customer service and we still retain customers that we started with 25 years ago. A family run company - based in Cork, Dublin, Galway and Northern Ireland. Contact us today on 1850-272-172, you have instant access to the Sales Team who can advise you on the best products or services to suit your requirements. Our company operates to the highest standards and is ISO 9001-2008 approved.. Established in 1970, Boomer Industries Ltd. has grown to become one of the most respected names in the specialist plastics extrusion industry, with customers throughout Europe, the Middle East and North America. We work with some of the most demanding manufacturing industries, producing plastic components to critical tolerances. To achieve this, we have designed our processes, services and products to fit the needs of our customers. Our core strength is our ability to respond effectively to our customers' requirements and to work in partnership with them as an integral part of their strategic product development. Web Link: Browns Coachworks Ltd.
Where would we be without the wheel! Ten thousand years of human achievement are encapsulated in one simple concept. At Browns Coachworks Ltd, we do not try to re-invent the wheel, but we use our experience to adapt and develop it to meet the changing needs of our customers throughout the world. Our family have been coachbuilders in Ireland for more than five generations and we have been keeping our customers’ wheels in motion for over 150 years. This means that today we have an enviable reputation for the design and quality of our modern coachworks and by combining our past heritage with contemporary design, we are able to offer our customers the very best in bespoke vehicle engineering solutions. So whether a public authority, a private/public company or a discerning enthusiast, Browns Coachworks can deliver the vehicle for your needs.. Since 1981, Clarehill has pioneered the development of rotationally moulded environmental containers. Today, Clarehill is firmly established as the country's truly independent manufacturer of rotationally moulded fuel storage products, under the Harlequin brand. Operating from purpose built production and distribution facilities in the heart of Northern Ireland, Clarehill services a diverse and demanding customer base throughout the United Kingdom, Republic of Ireland, Belgium, the Czech Republic, Denmark, France, Iceland and Slovakia. The Harlequin range today consists of over 200 different models and includes tanks for the storage of BioDiesel, Diesel, Heating Oil, Non Potable Water, Potable Water, Waste Oils and Lubricants and a range of bunker storage solutions for Coal and Road Salt..
Comada NI Limited provides specialist non destructive testing, inspection and quality assurance services to various shipping companies, industries, public utilities and government departments. Since its formation in 1979 the company has acquired extensive expertise in the provision of ultrasonic thickness measurement for the marine industry and has undertaken a considerable number of hull surveys involving all the major classification societies. it is the aim of the company to invest in the latest techniques and technology in order to provide its clients with an improved and efficient service.. Address: Knockmore Hill Ind. Est., Ferguson Drive, Lisburn, BT28 2EX. 2010 has produced new opportunities for Craigs. The company has managed the difficult recessionary period, and has added key suppliers like TT Pumps, Grundfos and Calpeda to our range of pumps. Jenny Henry has taken over as Company Secretary, and Jess Loat as Showroom Manager. We have now strengthened our sales team, to take advantage of the new products in the construction sector from Bosch, including the new high quality Laser measurement products. A significant amount of new product training has been undertaken, and in response to the market the four divisions are now almost equal in strength. The fuel polishing products have been further developed along with Separ UK, and now are being exported to the UK mainland and Holland. The environmental pressure and the rise in the cost of fuel have driven this exciting new sector forward..
Building on over 30 years experience, Creative Composites Ltd was formed in 2000 to develop the use of composites into new markets and applications. Proven performance at Creative Composites Ltd has earned the reputation for: •Technical innovation •Consistently high product quality •Reliable customer service Creative Composites Ltd provides complete capability and carries out a comprehensive range of moulding processes (Compression Moulding, Resin Transfer Moulding) and all secondary operations including top coat painting. "Edina is an outstanding company with leading edge products, quality services and support, and highly skilled employees meeting the highest standards of business practice. 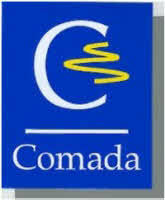 We combine these strengths to deliver world class customer service." Paul Gibbons CEO Since establishing the business in 1985 we have grown and developed into one of the leading power generation specialists. Providing international coverage from bases in Dublin, Lisburn, Cork and Manchester. We offer cost-effective solutions via innovative financial options and practical energy designs. We increase a company's economic viability, maximise their energy savings and provide security of power supply. With a proven track record within Public and Industrial markets worldwide, we have the enviable reputation of being a major supplier of power generation with unmatched After Sales customer care. From Gas to Diesel powered generation, Sales to Hire and Small Generators to Full Turnkey projects, we will deliver tailored solutions efficiently and on time. Global Armour Limited is a leading manufacturer of protective products headquartered in Northern Ireland. The company was formed in December 2005 when the Global Armour Group acquired Highmark Manufacturing Company Ltd, a company established for 25 years on the body armour industry. We work on the philosophy of continually improving our business processes, to ensure that our customer’s receive the best product and service every time and we are committed to delivering the most advanced, extensive range of body armour solutions available. We are also committed to continuous improvement, innovation and to implementing world-class business practices in order to satisfy our customer base..
Gregg & Patterson (Eng) Ltd has been at the forefront of the structural steel fabrication industry in Northern Ireland for over 50 years and has a Management Team with over 100 years experience! Since its inception in 1947, the Company has continually developed and expanded and is now extending its business onto the internet!. Welcome to Our Website. Are you looking for CNC turning in Lisburn? Whatever you require with regards to precision engineering in Northern Ireland, make sure that we here at Hillhall Precision Engineering are your first and only port of call! Give our friendly, helpful team a call today to discover just what we can do for you and your business..
North Design Automation is a family run company established in 1996. We are based in the Lissue Industrial Estate West, Lisburn, Northern Ireland. We specialise in the design, manufacture and installation of automatic gates, bollards, automatic barriers, access control and CCTVs; and we provide a professional and bespoke service to customers around the UK and Ireland..
Nulife Engineering offer a Complete Design, Manufacturing and Installation Service. Our continued expansion goes hand in hand with our commitment to offering all our customers the best service and a full after care back-up, we have earned an unrivalled reputation for the highest quality work allied with the most competitive prices. Nulife Engineering is ideally located off the Cutts, Dunmurry, 5 miles south of Belfast City Centre and around 1.5miles from the Blacks Road exit of the M1 Motorway. Our workshops benefit from the close proximity to the M1 as it provides east access to Belfast and beyond. 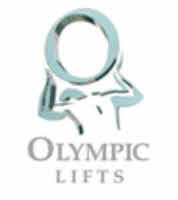 The main Belfast to Dublin railway line also stops in Derriaghy ensuring our workshops have an excellent communication link..
Olympic Lifts, based in both Lisburn, Northern Ireland and also with premises in Dublin, has over 20 years experience in the lift industry. We are now a major player in both the local and national market place with a wide range of product solutions to meet the varied needs of our clients. Our product range covers passenger lifts, access lifts, goods lifts, dumb waiters, stairlifts, and emergency evacuation solutions. We work with a wide client base including large and small private clients, and public sector contracts. This portfolio covers a range of scenarios from retail, education, heath trusts, government buildings, catering and licensed premises, through to private homes.. Web Link: Plastics 2000 LTD.
'Plastics 2000' is a leading manufacturer of small precision components within the British Isles. It has achieved this position through its focus on four key company strengths: Technical Competency A Commitment to Quality Price Competitiveness Short Production Lead Time Since the formation of the company in 1993, it has firmly established itself as a progressive player in the local plastics industry. The company provides a sub-contract design and injection moulding service to local and international manufacturing firms..
Power Action has been operating successfully as an electronics manufacturer since 1994. Our factory is based in Northern Ireland, one of Europe's Lowest Cost manufacturing bases. We focus on providing a high tech solution for low to medium volume Complex circuit and system manufacture and have therefore a higher ratio of engineers and support staff to operatives than most Contract Manufacturers. We have made Substantial Investments in the latest manufacturing and inspection equipment so that our customers can take advantage of the most advanced technology in their products..
Smiley Monroe is one of the leading suppliers of conveyor belting, conveyor components & synthetic screen decks to the crushing, screening and recycling industries in both the UK & Irish markets, exporting worldwide. Since 1979, Smiley Monroe has been supplying conveyor belts and service to the bulk handling and mineral extractive industries including quarrying, mining, cement, fertiliser, power stations, agricultural and original equipment manufacturers (OEMs). We have built strong relationships with several strategic partners, establishing a worldwide distribution network and are now one of the largest manufacturers of endless conveyor belts for the mobile crushing and screening sector in Europe..
We are based in Lisburn and are easily accessible via all of Northern Ireland's main arterial routes. We occupy purpose built 10,000sq ft premises that include workshops, offices and stores. Currently we employ 18 people and have the capacity to design, manufacture, manage and install conveyor projects in excess of £1m. Our customers include all of Northern Ireland's "blue chip" manufacturing companies, Airports, Ferry Terminals and Warehouse & Distribution companies. We have also achieved major export successes to the USA and Africa. Products We stock a vast range of power transmission and pneumatic products including gearboxes, transmission chain & sprockets, belts & pulleys, pneumatic cylinders, valves and fittings etc, all available 24/7..
Set up over 35 years ago, The Alexander Group has a very broad choice of the best products on the market to match the needs of today's industry. As distributor of Lansing Linde, the world's largest forklift truck manufacturer, we can offer you the right choice to match your specific requirements. The Hako range of industrial cleaning and ground maintenance equipment offers you peace of mind and superb, efficient cleaning whether a retail outfit, warehouse or factory floor. The Ingersoll-Rand range of compressors also offers the widest choice to cover every requirement from the smallest fitting to the most advanced Intellisys microprocessor controlled air compressor.. Established in 1962 at Bridge Street in the City of Lisburn, by the father of the present owner Mr. Alan Graham, The Sewing Machine Centre is well known for Sales, Service and Satisfaction all over Ireland. We have a fantastic selection of quality domestic and industrial machines and accessories at the best prices, with service second to none. We are major suppliers of machines and service to schools and colleges all over the country. A great selection, plus a five year guarantee with all new machines. Training given on all machines.. Using our in-house facilities, Unicorn Containers can personalise products to include corporate logos and brands. Working in steel, fibreglass and plastic, Unicorn offer a broad range of quality products comprising sack holders, outdoor litter bins, catering trolleys and storage cabinets. Choice is enhanced by features such as fire retardancy, hands free operation and colour choice, providing appropriate solutions for a diversity of applications from high performance medical to aesthetically pleasing products..